For companies with a big customer base or a high volume of calls, dedicated call center agent solutions provide the most effective, efficient, and targeted customer service possible. If you truly want to grow your business, increase profits, and make your business stand out from your competitors, then dedicated call center agents are the premier solution. A dedicated call center agent is specially trained and managed to reflect your business brand and service. 3C Contact Services can provide dedicated call center agents/representatives who provide effective customer service for large companies with a high volume of calls. A dedicated agent is a customer service representative who is assigned exclusively to your business, allowing for a higher quality of service. These customer service agents can work according to your business’ schedule, incorporate your branding into customer interactions, and offer solutions that are customized specifically for your business’ needs. Dedicated call center agents are able to provide solutions that are highly specialized, using a higher degree of product knowledge and understanding of your industry/business to provide more efficient solutions. Dedicated agents can undergo any required amount of training to learn the niches of your business, products, services, customer base, and industry. For small- and medium-sized businesses that have very niche markets, provide complex products or solutions, or have a very high volume of calls (e.g. questions, complaints, queries for support), dedicated call centers can provide a higher level of service. Our dedicated call center solutions provide our clients with complete call center solutions that we gear to their unique needs and goals. Your culture becomes ours as we build our relationship with you and provide a true representation of your brand. We align our core competencies and specializations with your plans and strategies, building a true partnership. Why Use Our Dedicated Call Center Agent Solutions? 3C Contact Services is a comprehensive, dedicated call center representative that can provide the highest standard of customer service. We can provide the solutions that your company needs, tailoring our customer service towards boosting profit, improving customer loyalty and retention, and increasing consumer awareness. Our dedicated call center agents are fully trained professionals capable of providing customer service, customer support, sales, marketing, and other complementary solutions. As dedicated agents, our representatives can undergo the necessary training to become experts in your business and industry. 3C Contact Services is committed to providing the most efficient business solutions. We offer multi-platform support, utilize online live chats, e-mail, and other platforms to divert call volume, handle customers more quickly, and improve customer satisfaction. We offer dedicated agents with multilingual solutions, so we can serve all of your customers. 3C Contact Services also provides a range of complementary solutions, including cross-selling and upselling, winback campaigns, welcome calls, customer surveys, and other customer solutions aimed directly at increasing your revenue, customer retention, and consumer awareness. Using cutting-edge industry technology, consumer-driven data, and our personalized work processes, 3C Contact Services is able to target solutions to be more effective and efficient for your company. We work with clearly designed metrics to measure our success and deliver results. 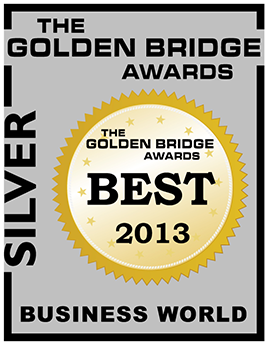 We deliver award-winning contact center solutions. We understand that the needs of today’s customers are constantly evolving; that’s why our multichannel customer service looks at both short- and long-term plans to increase revenues and ensure that your customers are loyal for a lifetime. We have a proven track record of meeting the outsourcing goals of Fortune 1000 corporations in industries that vary vastly. Our agents will work hard to ensure your business’ success. Whether you’re looking to outsource, hold on to existing customers, increase your revenue, generate new sales, cut down on service costs, or enter new markets, we will provide you with solutions that will manage each step of the life cycle of your customers. If your business has a high volume of calls that need specialized solutions, call 3C Contact Services today for our premier dedicated call center agent solutions.